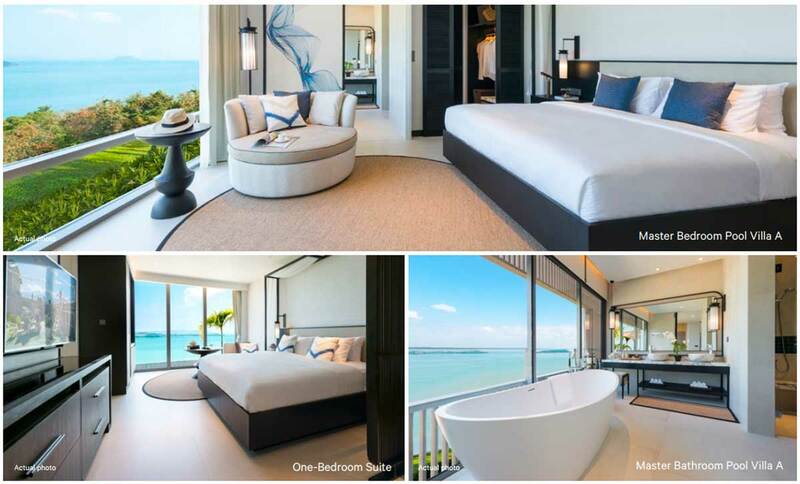 Welcome to The Residences at Sheraton Phuket Grand Bay, the next Asia’s Premier Destination. Located in an area of untouched natural beauty on the East coast of Phuket island, the spectacular Ao Po Bay offers a majestic gateway to Phang Nga National Park and stunning destinations like Phi Phi Islands. The dramatic headlands and panoramic island views of The Residences at Sheraton Phuket Grand Bay are in complete harmony with nature. The Residences at Sheraton Phuket Grand Bay is in a serene location yet conveniently located close to all the best amenities Phuket has to offer. 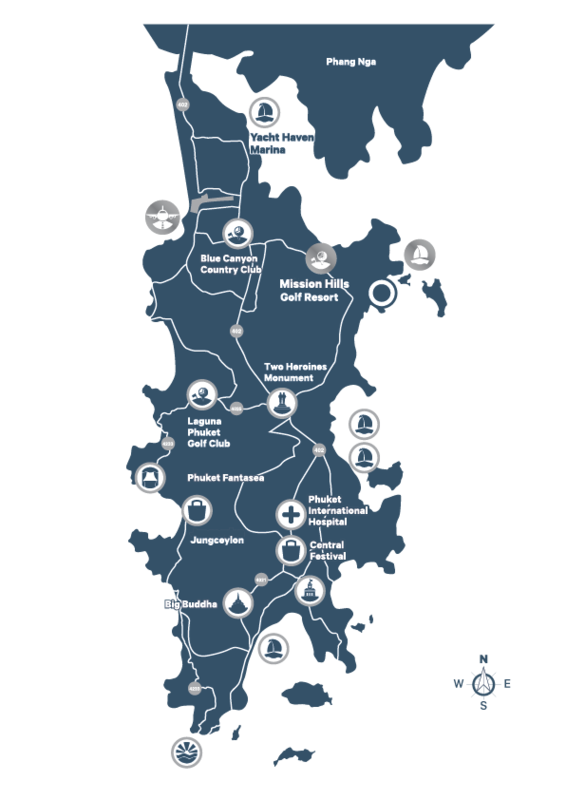 The Residences are no more than 20 minutes drive from Phuket International Airport, 15 minutes from Mission Hills Golf Club, and 10 minutes from Ao Po Grand Marina. 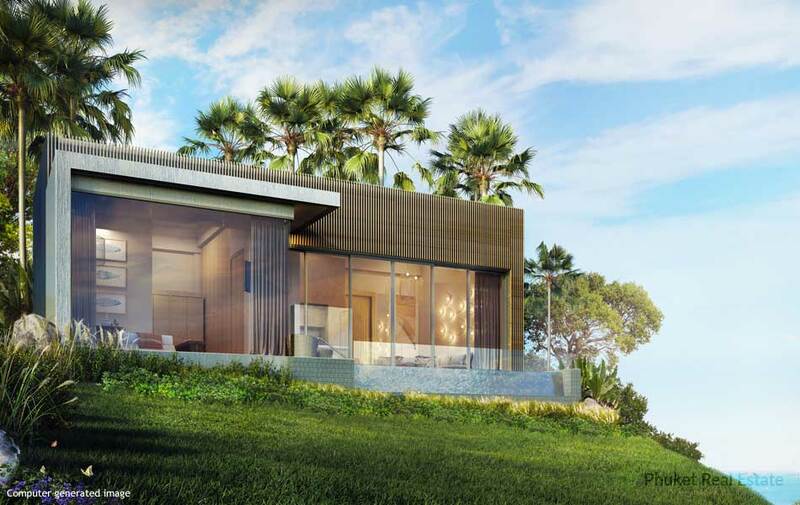 Exclusive Freehold Villas situated on Ao Po Bay, Phuket with 650-meter seafront offering a stunning panoramic view of island vistas amidst pristine turquoise blue ocean. 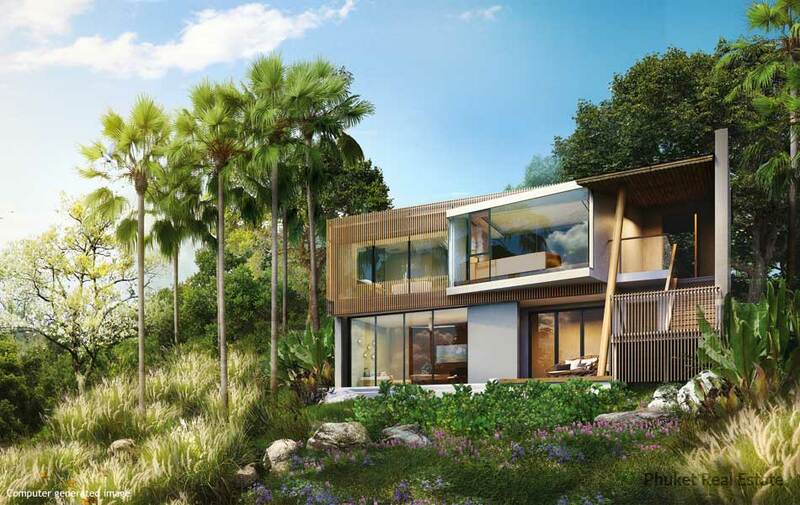 The Residences at Sheraton Phuket Grand Bay occupies a top-tier and exclusive hillside setting on a 66 Rai plot of land (26.4 Acres or 105,600 sq.m. 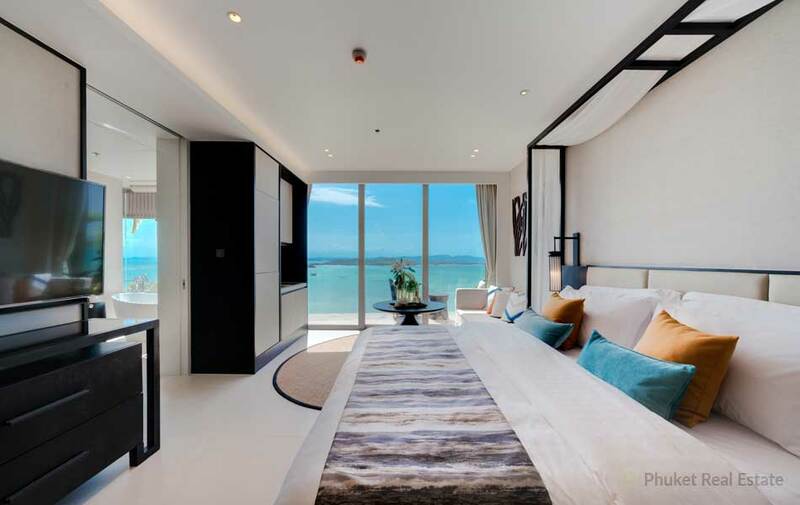 ), nestled on the southern cape of Po Bay overlooking the beautiful Po Bay Grand Marina, Phang Nga National Park, and Phi Phi Islands, assuring magnificent and ever-present vistas of absolute privacy for its future residents and guests. The Residences at Sheraton Phuket Grand Bay surrounds The Sheraton Phuket Grand Bay Resort at the center of the 103-key development, providing the branded residences with comfortable access to the hotel’s 5-star facilities and amenities. The residences which are located on the northern and southern sides, featuring one to two-bedroom pool villas and suites are superbly nestled in a quiet hillside. The 650-meter long coastline forms the natural boundary on the eastern side and features a 220-meter beach for residents and guests to use. 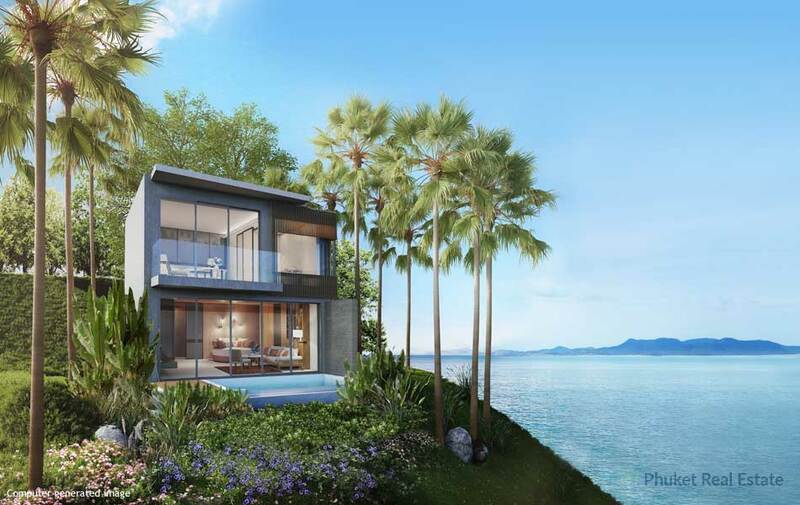 The Residences at Sheraton Phuket Grand Bay offers 106 exclusive units of Pool Villas and Suites situated on Ao Po Bay, East coast of Phuket island, with 650-meter seafront featuring a stunning panoramic view of island vistas amidst pristine turquoise blue ocean. All the pleasures of a private holiday retreat are yours to enjoy with the 2-storey Two-Bedroom Pool Villa. All Two-Bedroom Pool Villas embrace the elements of space and tropical resort living. With its 132 sq.m. of living area comprised of 84.85 sq.m. on the 1st floor, and 47.15 sq.m. on the 2nd floor in an 80 sq.m. land plot, the villas perfectly blend the contemporary interior with the outdoor terrace and pool. All villas enjoy stunning ocean and island vistas. The 2-storey One-Bedroom Villas with sofa bed are comprised of 85.50 sq.m. on the 1st floor, and 53 sq.m. on the 2nd floor with a total living area of 137.5 sq.m. on an 80 sq.m. plot of land. The villas feature contemporary interiors and enjoy stunning ocean or mountain views. 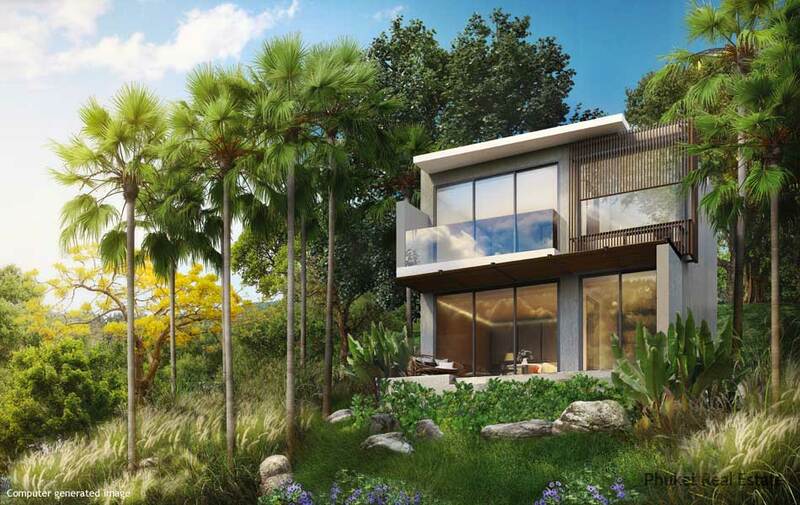 Oﬀering an alternative configuration are 2-storey villas that feature a grand master bedroom on the upper level. The lower level is designed to maximize living space where the sofa bed, living room, swimming pool, and terrace flow seamlessly and can be opened up into one expansive space. This One-Bedroom Pool Villa with area of 90 sq.m. on an 80 sq.m. plot of land gracefully blends spacious living area seamlessly with the outer deck and large private pool taking full advantage of the front line panoramic ocean view. The floor to ceiling height of 3.6 meters maximizes the lofty ocean breeze for natural relaxation, and the living room with the sofa bed, dining area, and kitchen flows into one grand and lofty area for your perfect holiday. The One-Bedroom Pool Suites are located on the lower level and include 84 sq.m. of space. Each pool suite is designed to feature all one needs for the perfect holiday, filled with relaxing and unwinding in a private pool and terrace, to then resting in a spacious master bedroom and bathroom. The suites enjoy stunning ocean or mountain views. The One-Bedroom Suites are located on the upper level and include 53 sq.m. of space. Each suite features a grand master bedroom and bathroom with a large modern bathtub and overlooks panoramic ocean or mountain views. The suites oﬀer a compact and comfortable choice for an exclusive getaway. The Residences at Sheraton Phuket Grand Bay provides the allure of seaside living at its finest with elements of tropical contemporary resort design presenting warm and welcoming interior living spaces. Natural stone and timber are used throughout, with hints of blue to reflect the seaside setting. The interior living space seamlessly melds with the outdoor terrace and pool, blurring the lines between indoor and outdoor living and entertaining areas. The Residences at Sheraton Phuket Grand Bay will feature a host of five-star Sheraton facilities for guests and villa owners to enjoy including all-day dining, specialty restaurants, lobby lounge, swimming pool and pool bar, spa and fitness center, business center, 24-hour room service and housekeeping and laundry facilities. 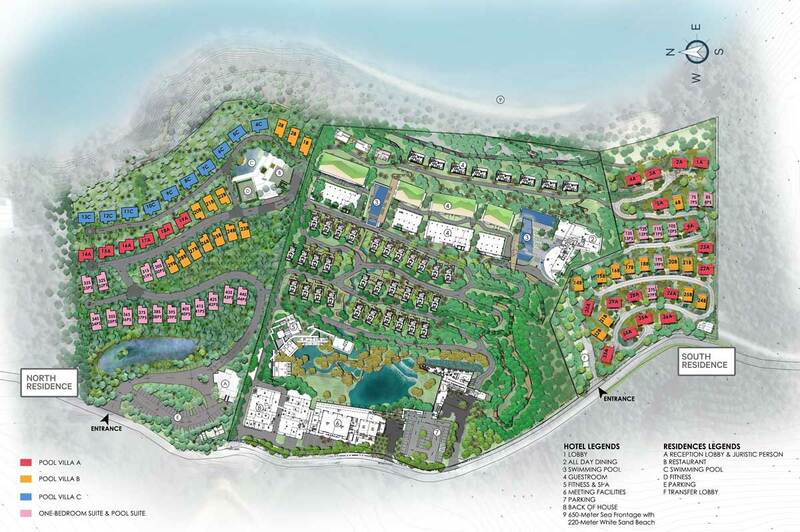 The hotel will be completed by Q3 2020 and Soft Opening in Dec, 2020.